More than 600 Metro Detroit kids will have the backpacks and supplies they need when school begins this fall thanks to the Ford Back To School Initiative, which Zaman will help coordinate with a $12,500 grant from the Ford Fund. 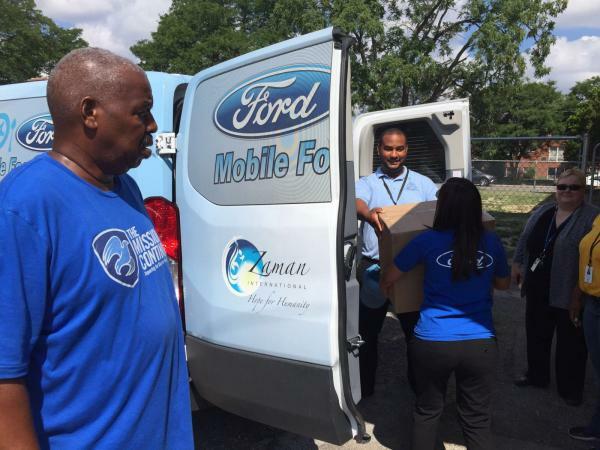 This is the third year that Zaman has been a partner in the Ford Back To School Initiative, which helps low-income families with children in grades K through 12 that are served by Zaman. In addition to the backpacks, the grant purchases supplies that include writing and drawing utensils, paper, notebooks, scissors, glue, lunch bags, and study aids such as highlighters, sticky notes and index cards. High school students will receive supplemental totes that contain scientific calculators, geometry sets and binders. The backpacks, a portion of which will be given to Detroit-based Matrix Human Services for distribution to its clients, will be filled at Zaman’s Hope For Humanity Center by the Ford Volunteer Corps and distributed there in August at a party for recipient families. The gathering will feature food, games and face painting and provide children the opportunity to select the backpack they want based on style and color. Monica Boomer, director of community engagement, said the Ford Fund’s commitment to helping kids succeed academically “aligns perfectly” with Zaman’s work to break the cycle of generational poverty by helping families keep their kids in school.